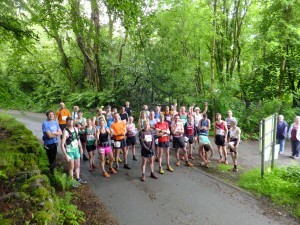 A new style club vest was left tied to the fence at the Llanberis midweek series race. Size Large. Contact Craig if it’s yours. The Fabian4 Dyffryn Conwy Mountain Challenge takes place on 13th Sept. This is a non-profit making event with the proceeds being donated to the Snowdonia Society, whose work benefits us all. This year, we are offering the Duathlon option (fell run & MTB leg), as well as the usual Triathlon which can be entered by teams of 3 or individuals. There must be many handy mountain bikers in Eryri Harriers….! See http://www.map17events.org.uk/ for further details. We have a pool of people who are looking for extra team members. Please support this exciting event, which is a huge, time-consuming undertaking for us organisers. We have had very few takers for the free first aid course, therefore, we are offering it to all members on a first come first served basis, whether or not they are race organisers or regular marshals. Any takers would be required to marshal at at least 1 club race in return for being able to go on a FOC course. There are still many members who haven’t collected their new, FOC vests. We said they needed to be collected at the TES races, of which there’s only 1 remaining, so next Tues is intended to be the mega dealing out of vests session at the Heights after the race! Any members who haven’t collected their vests by then will have to make arrangements to meet Ellie at another race. We won’t post these vests unless members live away. Please note there will not be a session on the 9th Aug, 16th Aug and the 6th Sept.
Andrea Roberts had to be content with a 2nd placed finish (10th overall) in the Trail Marathon Wales at Coed y Brenin on Saturday 20th June in a time of 3:32:29 which was over two minutes down on her winning time of last year 3:30:06 which would not have been good enough to win this year’s event won by Belgrave’s Samantha Amend 3:29:21. There were 5 Eryri Harriers amongst the 342 finishers. In the TMW Half Marathon, there were 8 Eryri Harriers amongst the 551 finishers led home by 12th placed Sam Orton 1:37:30. 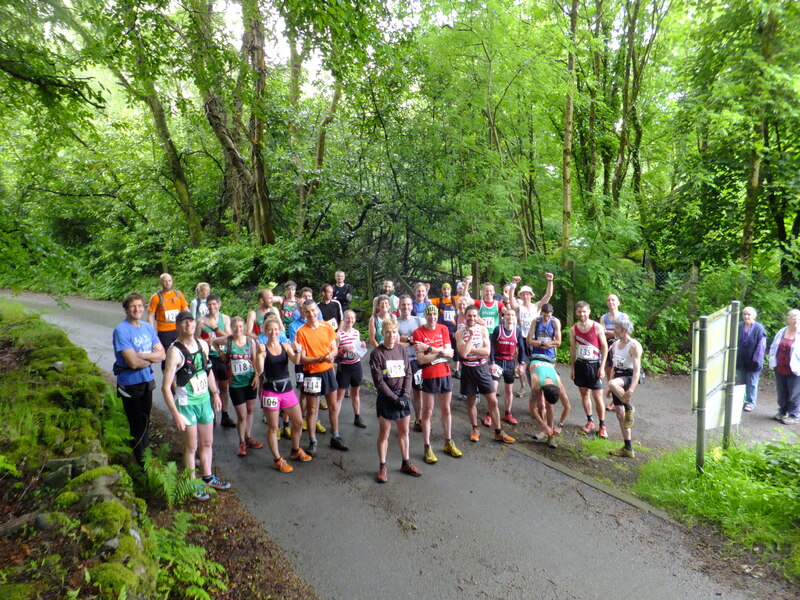 Elliw Haf was the star Eryri runner in the tough Deiniolen 10k on Wednesday 17th June, finishing 31st overall and 1st female in a time of 43:44 and making it a 1-2-3 for Eryri were: 41st (2nd Female) Megan Hughes 45:18 & 42nd (3rd Female & 1st FV/40) Jen Charlton 45:24. 79th (3rd FV/40) Emily Wood 51:39 & 105th (2nd FV/60) Maggie Oliver 59:23. Leading Eryri’s men home in 4th place was Paul Wathan 36:41 followed by: 5th Dewi Owen 37:28. 7th Jim Bacon 38:22. 10th Shaun Davies 39:02. 11th (1st JM) Steffan Williams 40:19. Other notable Eryri finishers: 17th (3rd MV/40) Ed Harmer 42:14. 21st (1st MV/50) Arwel Lewis 42:55. 26th (2nd MV/50) Rhys ab Elwyn 43:18. 50th (3rd JM) Delan Wyn Williams 46:18 & 110th (1st MV/70) Iorwerth Roberts 64:51. There were 110 finishers in the well organised event. John Spill followed up his debut Penrhyn Parkrun win last Saturday with a debut win at the Conwy Parkrun this Saturday 20th June in a time of 16:36, 49secs clear of the 2nd placed runner. In 4th place was Paul Jones 18:53. 7th John’s U/13 brother Mike 19:43 and 52nd Don Williams 25:42. There were 166 finishers in what was a rather wet and soggy event! In the previous week’s Penrhyn Parkrun, John was only 9secs off Matt Roberts course record, winning in a time of 16:29 with: 3rd Steffan Williams 18:18, 4th John’s brother Mike 18:54. 12th Eurwyn Edwards 22:08. 20th Harri Roberts 24:17. 23rd Aisha Plumridge 25:45. 24th Don Williams 25:58 & 66th Jim Steel 37:14. There were 78 finishers. Surprisingly, there were no Eryri harriers competing in today’s Penrhyn Parkrun!